Medical sales representatives succeed when they sell. Therefore, most seek time with customers for product-focused conversations. When selling to healthcare professionals however, this might be a better option. Check it out. Leave a comment below and let us know what you think. 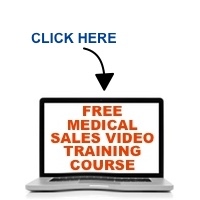 Learn how to accelerate your medical sales results with Medical Sales Academy. Previous PostMedical Sales and The Beauty of No!Next PostYour Customers Are Different . . . I Don’t Think So!